Audley Infant School in Blackburn has achieved the Inclusive School Award. Audley Infant School is larger in size than most primary schools with 313 pupils on roll, built in the 1930s. At the time of the assessment attendance stood at 94.62% including the nursery. It has undergone some redevelopment over the years and has a Sports and Arts facility that has some use from the local community. Additional updating with 2 large Reception classes being built in 2000. Most recently, the school has had significant re-decoration and the addition of a modern Portakabin that houses a large changing facility with raised and lower bed and shower facility. It has two small rooms that are used for targeted group work. All classrooms are bright, stimulating and well equipped to meet the needs of the school’s pupils. Displays are up to date, bright and attractive and are used to support learning and to showcase pupils’ work. The work on display represents all levels and abilities. Each classroom has an interactive smart board to aid learning, while the Nursery and Reception classes have touch screen monitors to supporting learning. The school has a large MUGA area and a trim trail to support pupils in play and gross motor skill development. The DHT has significantly developed the outside learning areas in the EYFS and, as a result, Audley has recently received the LCC Step Outside award for their outdoor provision in Reception. Audley Community Infant School sits in the middle of the Audley area of Blackburn. The proportion of pupils who are disabled or have special educational needs and are accessing school support is higher at 23% than the national average of 14.4%. The proportion supported with an EHCP is well above that usually found and increasing year on year at 4.8% where Nationally it is 2.8%. The proportion of disadvantaged pupils known to be eligible for support through the Pupil Premium is slightly below average at 18.7%. The vast majority of pupils are from minority ethnic groups and speak English as an additional language. Currently there are 18 languages other than English spoken by pupils at the school, who receive pupils throughout the academic year through the Fair Access Process, which at times means that they are oversubscribed in a year group. There is some movement with a small group of pupils leaving and joining during the school year. Audley Infant School is an inclusive school, which encourages all stakeholders to become involved and become partners in the process of learning and personal development, a fact I can attest to from observations, discussions and documentary evidence supplied during the assessment. They are committed to the well-being of every pupil in their care. Challenge is a key word in school, with each interaction geared to ensure that their pupils are challenged to reach their full potential. Audley regularly self-evaluate in all areas to ensure that they continue to adapt and thrive despite a challenging external educational landscape. The removal of barriers to learning, inclusion and equality are central to the ethos and culture of Audley. Staff, governors, parents and pupils collaborate closely to analyse the needs of individual children and implement highly effective interventions. These interventions are measured for impact. Policies are under continual review by all members of the school community. There is a strong collegiate approach and culture which forms a sound foundation for the outstanding practice and provision which exists in the school. The development of a local School Improvement Group where Audley has chosen to work with a diverse group of schools rather than those similar to themselves has been a great opportunity to work closely with other schools. Identified priorities are; to improve standards in oracy and writing; to improve the social and emotional and mental health of pupils; to improve standards in number, calculation and mathematical reasoning across the cluster and to further develop methods of moderation, peer review, support and challenge between schools. The sharing of ideas and good practice across different settings is powerful and essential tool for future growth. The excellent promotion of spiritual, moral, social and cultural development means the school is a calm and very considerate environment where pupils mix happily together. Pupils are actively involved in the school community, which contributes to developing and promoting the school values. There is a very productive atmosphere in the classrooms. In all the lessons visited behaviour was impeccable and there were high levels of engagement and participation. Pupils were working in different ways, evidence of the astute planning by teachers and TAs and the accomplished delivery of lessons. Inclusion is a natural part of what happens on a daily basis at the school; it is not seen as a separate entity but as the golden thread that is woven across and throughout every aspect of the school and through each of its many roles in supporting pupils and their families; a truy inclusive approach, that supports their school motto ‘Growing and Learning Together’ and their vision, ‘Audley Infant School is committed to ensuring that every member of the school family reaches their full potential in a happy, caring and safe environment’. Everyone involved with the school is committed to this vision and ensures that it is a natural part of the life of the school and it is encapsulated in everything that happens on a daily basis and was clearly seen in the happy, friendly pupils and staff during the assessment who were actively engaged in teaching and learning. Everyone spoken to during the assessment from staff, governors and parents was happy to share their highly positive feelings about Audley and celebrate its vision as a fantastic inclusive and successful setting and referencing frequently that they feel part of the ‘Audley family’. During the assessment I saw multiple highly positive interactions between staff and pupils and between staff and staff and between staff and parents. It was clear to see in classrooms and outside in the outdoor learning environment that inclusion pervades every part of the school and is truly ingrained in every fibre of its being. I was very impressed by the enthusiastic and happy children and by the shared aspirational vision not only of the Headteacher and the Senior Leadership Team but by all of the staff employed in the school, who are committed to inclusion in its broadest and best sense at all times. The school environment is inspiring, highly stimulating and purposeful. It provides a safe, secure, welcoming space for children to learn. Walking around the school including visiting classrooms, revealed an abundance of beautifully presented displays. The school offers an excellent broad and balanced curriculum that really excites pupils and contributes to their enjoyment of learning. It is extremely engaging and, as a result, pupils feel valued by the staff in the school. 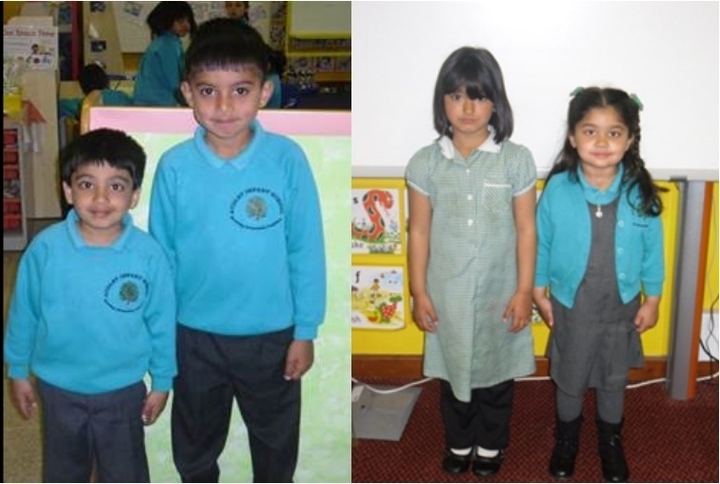 It is clear to see that the pupils really enjoy coming to Audley Infant School. There is an outstanding sense of care and nurture within the school where every member is valued for who they are and what they might become. Teachers plan very carefully to identify and meet the needs of all children utilising the skills of the support staff that are highly skilled and work as key professionals alongside teachers. There are superb relationships between pupils and the staff and every member of staff is a positive role model for their pupils. There is very much a family feel to the school and its community, with outstanding systems in place to support the children and their families. Audley Infant School ‘knows itself’ really well and has the highest expectations of all its members. All staff employed by the school feel valued not only by The Senior Leaders in the school but by the pupils and their parents. I saw evidence of this on numerous occasions in classrooms and in outdoor learning areas. Everyone works closely together as a team to act as support for children in the classroom. Physical access in and around the school is excellent. The building is clean and well decorated; the outside areas are free of litter and are very well resourced with good quality teaching and learning materials and children were seen to be able to access all of the resources they needed for their learning, socialising and play. The parent who was also a Governor spoken to during the assessment was very positive about the setting and felt Audley was excellent at identifying needs and intervening at an early stage to ensure any issues raised are resolved, a fantastic accolade for the setting. Parents observed and seen during the start of the school day clearly feel that it is an open and honest place, where they feel comfortable and are listened to and valued and where not only will their children be supported but they know they will be supported as a family. School communication with them is very good and the school is proactive in letting them know how well their child is doing without them having to ask for the information all the time. In fact, there are multiple opportunities for families to visit the school and see their children’s work. The school places the highest value on the relationships it forms with the families it serves, as it realises the benefits of engagement for their children and their families. School governors are a highly effective and stable group with a wide-ranging skillset that effectively supports the Headteacher and Senior Leaders in providing an outstandingly inclusive provision for the pupils and families. They visit the setting as often as possible and are well informed about the work of the school and the progress that the pupils are making. Governors support the school effectively and are knowledgeable about the strategic plans for the school. They understand their role and use this to drive and hold staff accountable for the progression of the pupils. They are well trained and knowledgeable about the school and provide both support and challenge to the school. They know that their contributions are valued. Leadership at Audley is both inspirational and aspirational, sitting alongside professional, highly motivated and enthusiastic staff with a great passion for teaching, for supporting and developing their pupils and their families and the community that they serve. The school is at the heart of its community and is continuing to work hard to be even more inclusive in this respect to ensure that they meet the ever-changing needs of their pupils, parents and families. This was evidenced throughout the assessment from discussions and conversations with staff, parent, and governors who spoke about the outstanding inclusive ethos of the school. As previously stated, inclusion is not an additional part of the setting, seen as an add-on but is ingrained in the very ethos and culture at the heart of the setting and part of everything that happens, where staff, governors, pupils, external agencies and parents work in partnership to ensure the best for all. Audley is a place where everyone involved is listened to and valued. It was clear to see that all children, staff members, parents and visitors feel that they belong to The Audley community. This was reinforced time and time again during the assessment in all areas of the setting and in discussions with all stakeholders. There is a calm but vibrant feel to the school within an enjoyable, happy, nurturing and purposeful learning environment that sets the tone for teaching, learning and play at all times. It is clear from the evidence gleaned during the assessment that the emotional and educational support for all children and the staff is an outstanding feature of the school and is a key element in its success and why it is valued not only by the local community, but by the staff and the pupils with a staff who are regularly going beyond what is expected to ensure successful outcomes for the pupils and families. Staff morale is exceptionally high and excellent relationships were evident throughout the visit between staff, pupils, parents and governors. There is very much a family feel to the school where everyone works to support each other to achieve the best for themselves and the pupils and families in their care.